Q & Hey! : What's Your Sign? 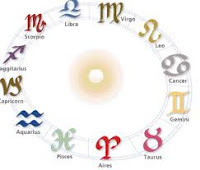 "Zodiac" literally means "circle of life" and gives insights into our daily lives and the characteristics we possess. Does your sign accurately depict you and your personality? Are you better matched to a different sign? How has it impacted you and the choices you've made? Or is it all a crock of hocus-pocus?